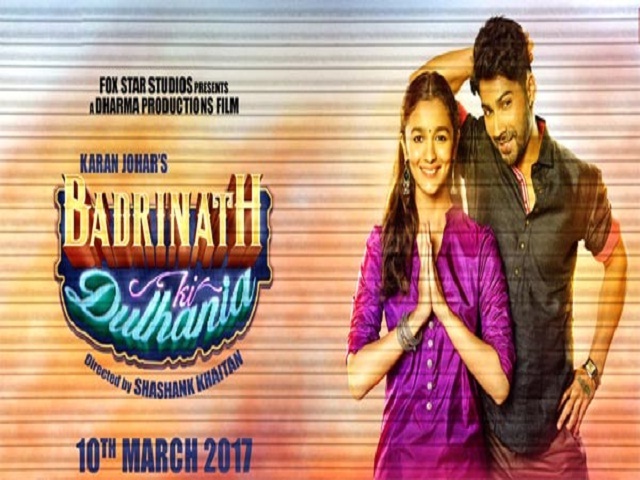 Badrinath Ki Dulhania will enter 100 crore club on Thursday which will be the second week of its release. Varun Dhawan and Alia Bhatt starer, Badrinath Ki Dulhania box office collection report shows it will be Bollywood’s fourth film in 2017 to cross the 100 crore mark after Raees which collected 139 crores, Kaabil earning 126.85 crores and Jolly LLB 2 collecting 115.77 crores. Badrinath Ki Dulhania will become Varun Dhawan’s third film after Dilwale(148 crores) and ABCD 2(107 crores) to enter the 100 crore club. While for Alia Bhatt it will be second in a row after 2 States. Badrinath Ki Dulhania is doing well at the overseas box office as well.